Nimble ASX junior, Nova Minerals (ASX:NVA | FSE:QM3), is armed with a clutch of high-growth opportunities and a razor-sharp strategy for unlocking their value. 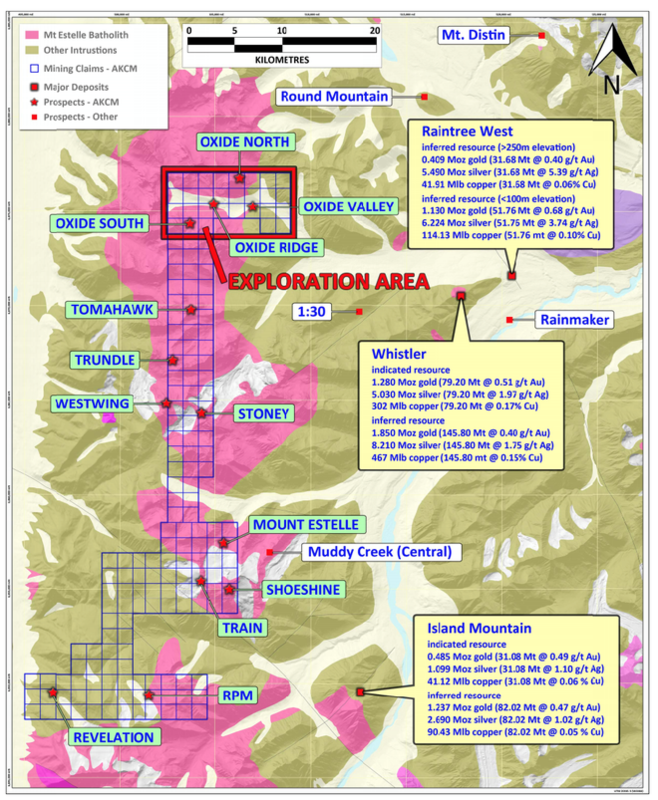 The cherry on top is its district-scale Estelle Gold Project with an exploration target of 2.2moz – 5.3moz in gold established on one of a number of prospects, which is situated in amply mineralised south-west Alaska — one of the most renowned mining jurisdictions in the world. This Alaskan corner has attracted the attention of resources heavyweights Anglo American (LON:AAL), Barrick Gold (NYSE:ABX), BHP Billiton (ASX:BLT), Freeport-McMoRan (NYSE:FCX), Newmont Mining (NYSE:NEM), Teck Resources (TSE:TECK), Sumitomo Metal Mining (TYO:5713), and Rio Tinto (ASX:RIO). 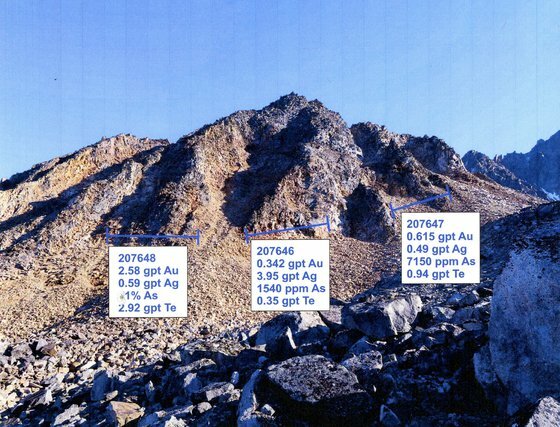 Intriguingly, the Estelle Project sits adjacent to Gold Mining Inc.’s (TSX:GOLD | OTCQX:GLDLF) Whistler Project, which contains 6.3 million ounces of gold, and in the same assemblage of rocks that hosts Northern Dynasty’s 105 million ounce Pebble deposit — but without the latter’s environmental impediments. There’s expansive scope for resource growth here — over US$5 million has been historically spent on ground works, with previous mapping, resource targeting and ground truthing previously completed by Millrock Resources (CVE:MRO) and Teck Resources. So clearly there is something going on in the region and NVA wants a piece of the action. That’s not all NVA is holding, either. 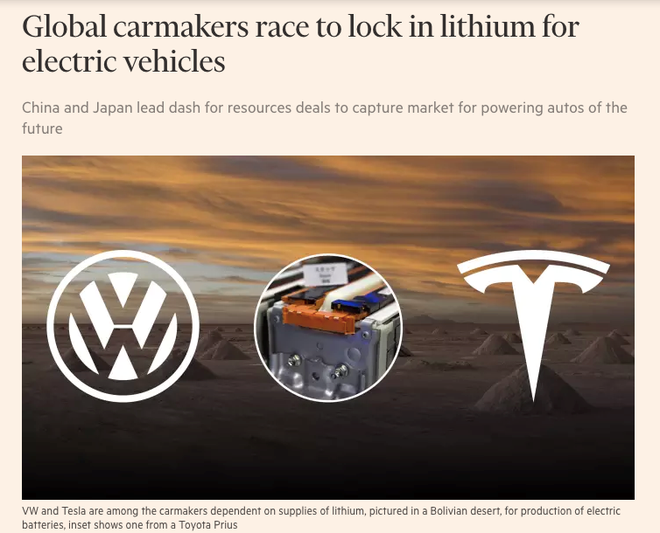 With a keen eye fixed on the soaring demand for lithium that’s associated with the rapidly accelerating electric vehicle (EV) boom, NVA is fast-tracking development of its high-grade Thompson Brothers Lithium Project in Canada’s mining-friendly central Manitoba region. NVA has earnt up to 80% in this project (and 100% of the adjoining Crowduck Lithium Project) via its subsidiary, Snow Lake Resources. This flagship project is already well advanced, with a maiden Inferred Resource of 6.3 million tonnes grading 1.38% lithium for 86,940 tonnes of the contained metal. Initial metallurgical test work shows that this project can produce a concentrate material of 6.37% lithium. NVA has a remaining exploration target of 3 to 7 million tonnes at between 1.3 and 1.5% lithium in the immediate area of the Resource. Moreover, this initial Resource comprises less than 5% of the project area, so this could just be scratching the surface when it comes to what NVA could unearth here. 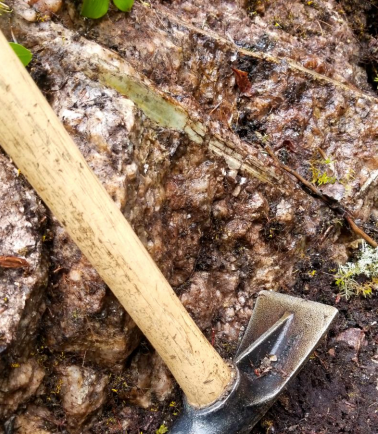 NVA has also developed a shrewd strategy to unlock the value of this lithium asset by spinning off Snow Lake and seeking to list it in Canada via an IPO. NVA will retain significant ownership of the listed entity. The spin-off, in turn, will leave the project with a strong balance sheet without further dilution to shareholders, enabling NVA to ride the upside wave as the project develops further. This listing will propel the Thompson Brothers Project on its fast track development strategy. While a further Joint Venture with Newmont on the Officer Hill Project could be the silent knight with further encouraging results at the project. Given the calibre of its potentially game-changing gold and lithium assets, it would seem that the forward-focused NVA, which is currently capped at a mere $14 million, is considerably undervalued, without taking into account a further joint venture with Newmont on the Officer Hill Project. With a cluster of catalysts looming on the not-so-distant horizon, it may not be long before investors cotton on to the full impact of this agile ASX junior. There’s clearly a lot going on here, so without further ado, let’s get straight into the nuts and bolts of this small-cap growth story. Over the past 12 months, Nova Minerals (ASX:NVA | FSE:QM3), previously Quantum Resources (ASX:QUR), has steadily emerged as a multifaceted minerals explorer and developer focused on a selection of growth opportunities. These include the Thompson Brothers Lithium Project in Canada, the Estelle Gold-Silver-Copper Project in Alaska, as well as the Officer Hill Gold Project JV in northern Australia. These will be the focus of today’s article. NVA’s strategy is centred on maximising returns across its projects over the long term. This means that while some decisions won’t yield immediate returns, the company believes these will translate into shareholder value throughout a broader journey. On top of some promising exploration and development upside, NVA has also established a strategic framework for sustainable, long-term value creation and growth — we’ll look at this in more detail shortly. As such, there seems to be two main themes to the NVA story. One is about growth potential, and the other as a value play; themes that transcend in one way or another, all of its projects. Something else that bears mentioning is NVA’s healthy financial position, with $2.7 million cash in the bank as per its last quarterly. This will make for smooth sailing as it ramps up development of Thompson Brothers and firms up exploration of Estelle. Let’s start with the gold. Not far from Canada where NVA’s Thompson Brothers lithium project resides, but also under the Northern Lights, is NVA’s Estelle Project in Alaska. The project is part of the company’s broader Alaskan portfolio, which comprises five distinct exploration projects altogether — of which Estelle is the most advanced — with strong potential for gold, silver, zinc, nickel, copper, cobalt and rare earths. The Estelle Project has a few options for energy sources, sitting immediately south of the proposed Donlin Gold mine gas pipeline route. 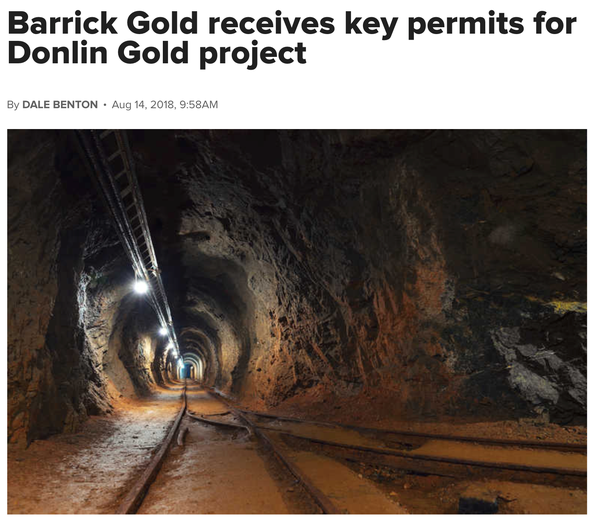 Donlin Gold’s 39 million ounce reserve is set to produce 1.3 million ounces of gold per year. The ultimate aim is to convert the current target to a JORC-compliant Resource at the Oxide prospect. This maiden Resource is expected by the end of the year — one of the major catalysts on NVA’s path. With some great alteration zones to follow up. Northern exposure — why Alaska? Here, there’s a world-class regulatory environment and a stable mining regime, alongside a highly competitive taxation structure. 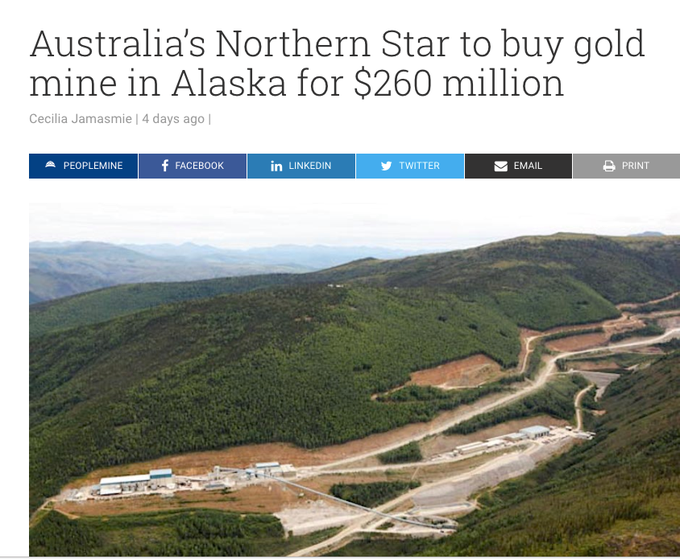 If you’re wondering about the specific benefits of looking for gold in Alaska as an Australian company, consider $5 billion-capped Northern Star Resources (ASX:NST). As the Mining.com article above explains, Pogo, located southeast of Fairbanks city, is currently the eighth largest gold mine in the US. It has produced 3.8 million ounces of gold over the past 12 years, at an average mine grade of 13.6 grams per tonne. Other miners operating in the region include Barrick Gold, Teck Resources, South32 and Newmont Mining. According to NST, this acquisition will add 250,000 to 260,000 ounces to its full-year 2019 guidance, boosting expected output to between 850,000 to 900,000 ounces at all-in sustaining costs of $1050 to $1150 per ounce. 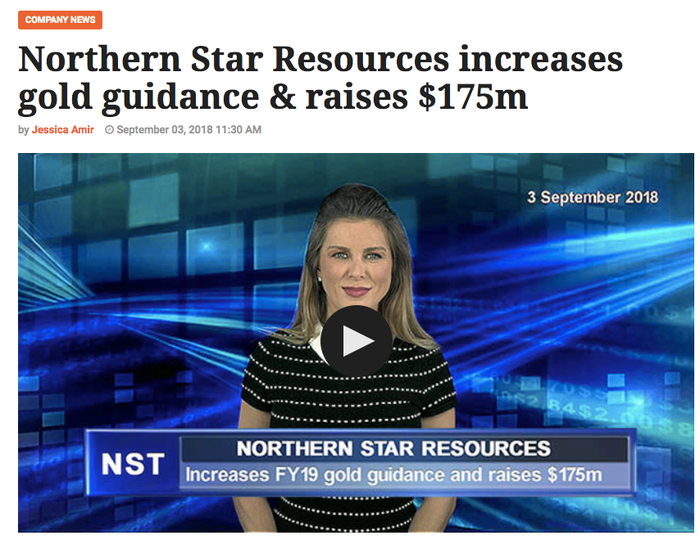 Meanwhile, this acquisition makes Northern Star the second largest gold producer on the ASX. 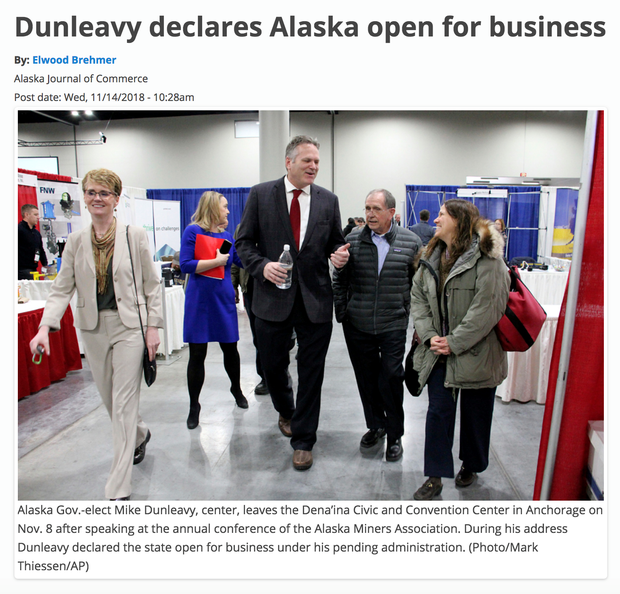 Amidst this kind of bustling activity in abundantly mineralised Alaska, NVA is hoping for some similar success — and given its highly prospective assets and ideal location, it has every chance of doing just that. So it comes as no surprise that NVA is wasting no time in developing its flagship lithium asset... the Thompson Brothers Lithium Project. 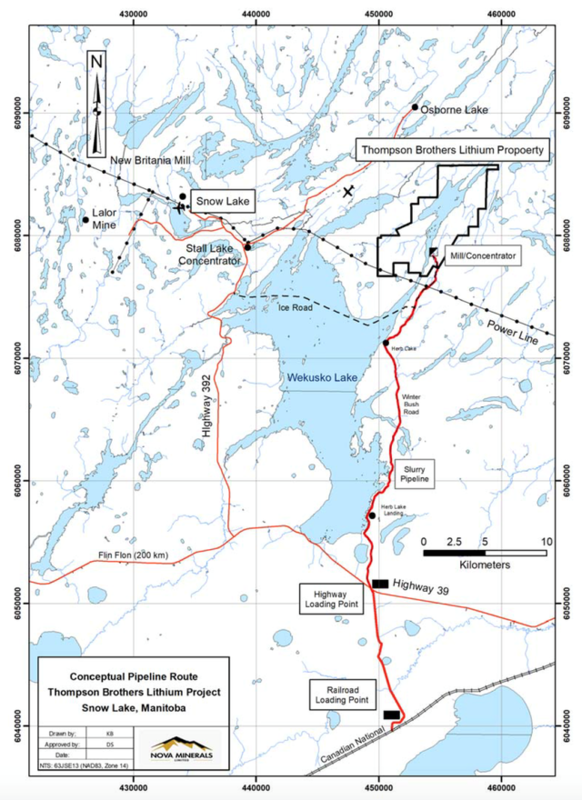 The Thompson Brothers Lithium Project is located 20 kilometres east of the mining community of Snow Lake in abundantly mineralised Manitoba, Canada. Manitoba is consistently ranked as one of the most sought after mining jurisdictions in the world, with electricity costs amongst the lowest in North America. Together with NVA’s nearby Crowduck Project, the company’s total landholding here spans 5229 hectares, and is adjacent to Far Resources’ (CSE:FAT) Zoro lithium property, which is host to several lithium bearing pegmatite dykes with numerous high-grade intersections. 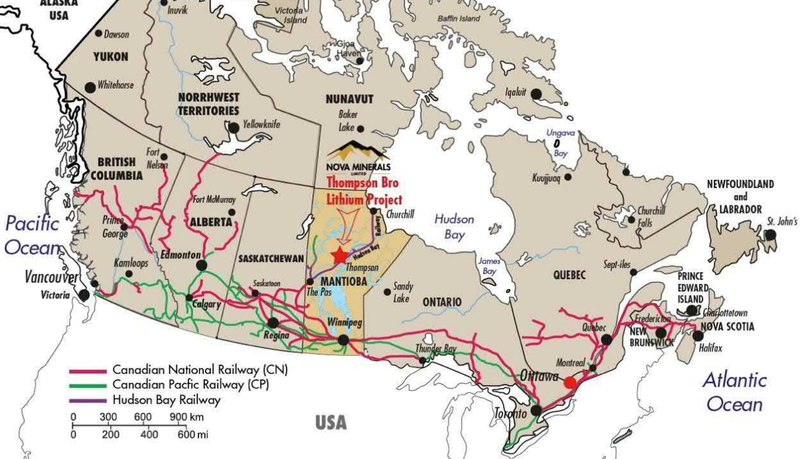 On top of that, NVA’s holdings are close to critical infrastructure and the major centres of Thompson and Flin Flon — this will bode nicely should NVA manage to rack up a commercial supply. Something also worth mentioning here is the fact that NVA has increased its Thompson Brothers land position by some 186% in a relatively short space of time, further suggesting that this is a lithium asset brimming with upside potential. Snow Lake Resources has assembled a great and dedicated team to execute with a strategy and plan to progress as noted. Thompson Brothers is already well advanced. Initial metallurgical test work demonstrates the project can produce a concentrate material of 6.37% lithium. Back in July, NVA released a maiden Inferred Resource of 6.3 million tonnes grading 1.38% lithium for 86,940 tonnes of the contained metal. Note that anything over 1% can be considered high-grade in lithium mining. 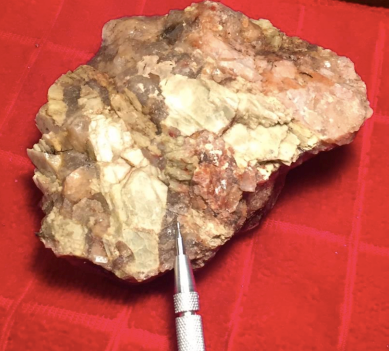 This Resource is based on one pegmatite that was drilled, and comprises less than 5% of the project area — meaning that this could be just the tip of the iceberg when it comes to exploration potential. The maiden JORC Resource verifies and builds on a historic Resource which sat at 4.3 million tonnes grading 1.3% lithium. Mineralisation also remains open at depth and along strike to the north and south. This high-grade Resource surpassed NVA’s initial expectations on grade and tonnes, with a relatively small amount of cash spent to date. There’s also strong potential for Resource expansion with additional exploration, so this is likely just the beginning for this ASX junior. The company has also recently identified a new spodumene zone as part of the Sherritt Gordon (SG) pegmatite cluster. This new discovery could increase the existing Resource base and add substantially to the scale of the Thompson Brothers deposit. NVA has honed a strategic plan to unlock the value of its Canadian lithium assets by spinning off its subsidiary, Snow Lake, and listing in Canada via a IPO. 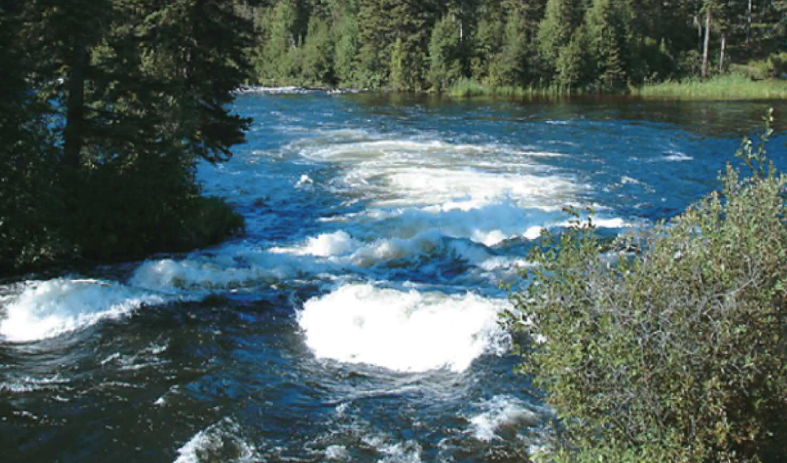 Post-IPO, NVA will hold a significant amount of the capital in Snow Lake. This proposal, in turn, has attracted a lot of interest and support, following meetings with North American investment banks, stockbrokers and Canadian listed companies over the last six months. Tellingly, NVA has experienced numerous enquiries from North American investors that are unable to secure exposure to Thompson Brothers via the ASX. This proposed listing is a pathway to lightning-fast development, enabling progression of its fast track development strategy — and with no dilution to NVA’s capital structure. NVA is hoping that Snow Lake will emerge as an independent and viable lithium supplier for the rapidly emerging lithium battery market that’s driven by EVs, home battery storage, mobile phones, tablets and other consumer products. 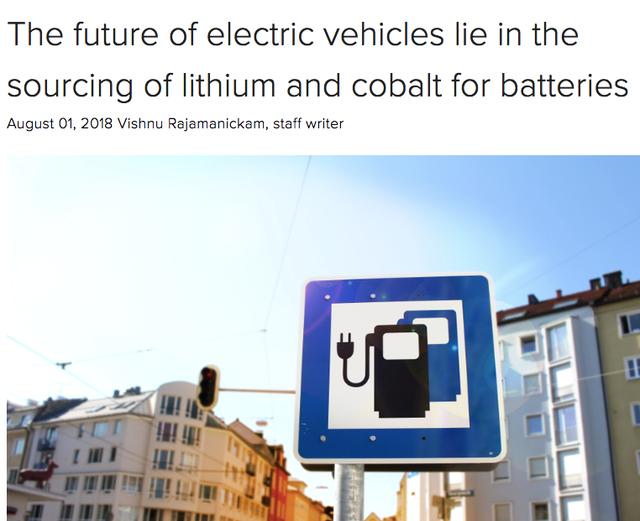 Given the strong and growing demand from EV and battery storage markets, this spin-off of NVA’s core lithium asset offers shareholders substantial benefits. In fact, the proposed spin-off covers NVA’s current market cap, effectively making the rest of its diversified portfolio — its Alaskan gold-silver-copper assets and highly prospective Officer Hill JV — something of a bonus. NVA is clearly looking to slam its foot down onto the (electrified) accelerator here, with a commercial operation kicking off as early as 2020/2021. 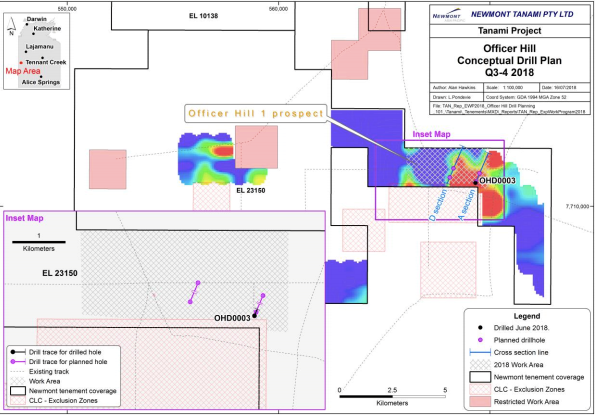 In tandem with its fast-tracked development of the Thompson Brothers Project in Canada and its aggressive exploration program at the Estelle Project in Alaska, NVA has also formed a JV with Newmont Tanami on the highly prospective Officer Hill Gold Project in the NT. 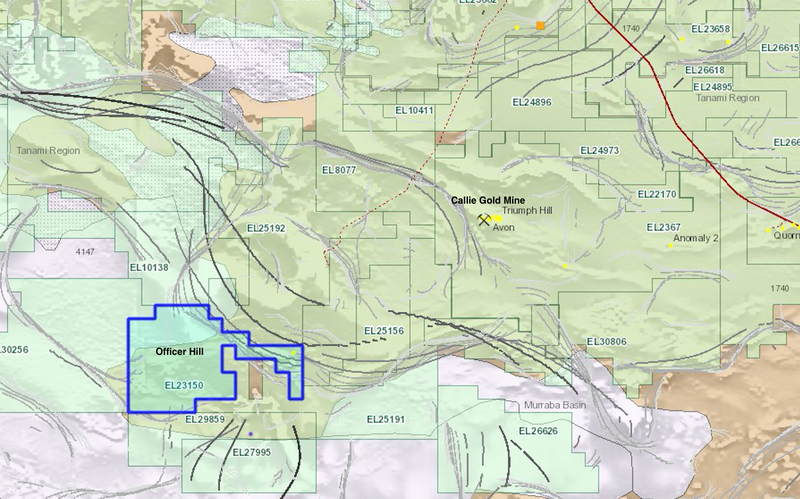 Officer Hill sits only 34 kilometres northeast of Newmont's current Callie Gold Mine. 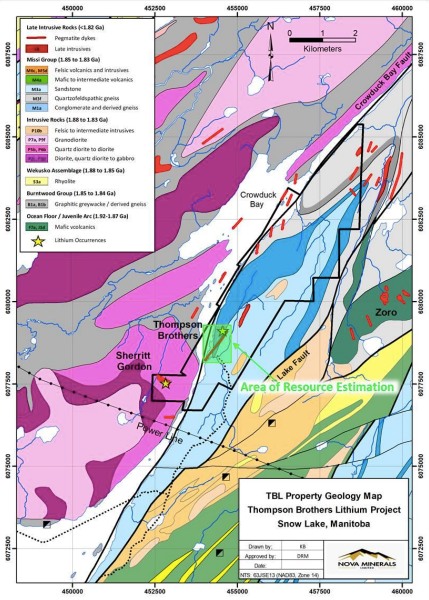 The exploration program that recently kicked off is targeting Callie-style mineralisation and has had continued success. This early-stage JV is also looking to add more in the way of shareholder value, with plenty of activity planned in the months to come. NVA seems to be a company that likes to keep itself very busy, and the months to come will be no exception. Coming up are plenty of key milestones, including an IPO of Snow Lake Resources, as well as a continued exploration work at Estelle... not to mention its current drill program at Officer Hill Project joint venture. Any one of these could serve as share price catalysts for this $14 million-capped ASX junior. Given NVA’s quick-footed movements over the past year, and its strategic attention to both unlocking value and longer-term growth potential, there’s a lot to differentiate NVA from its peers.